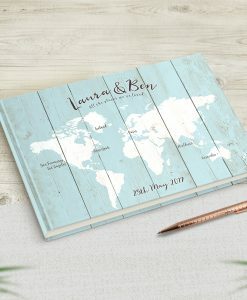 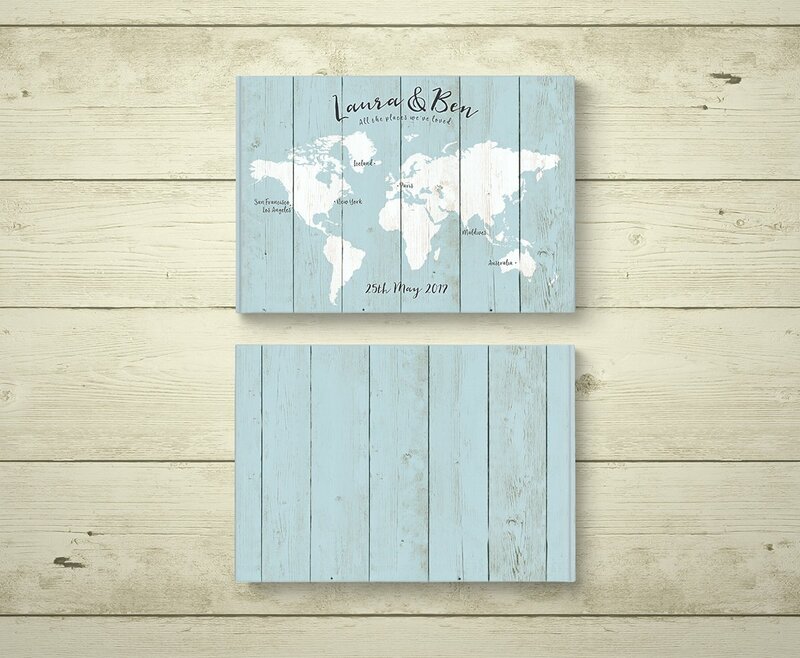 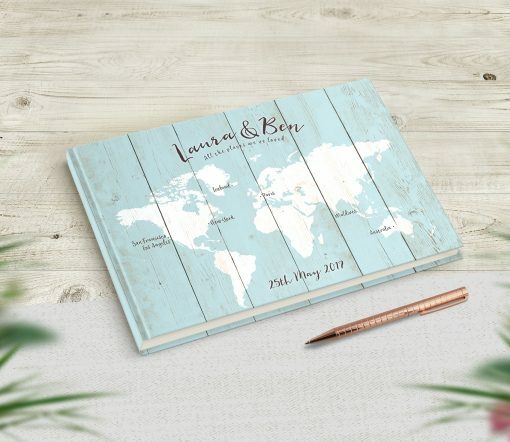 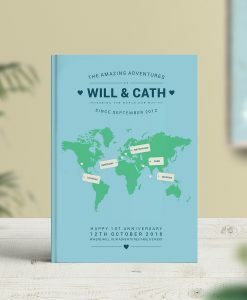 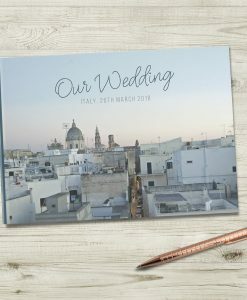 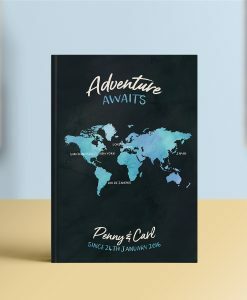 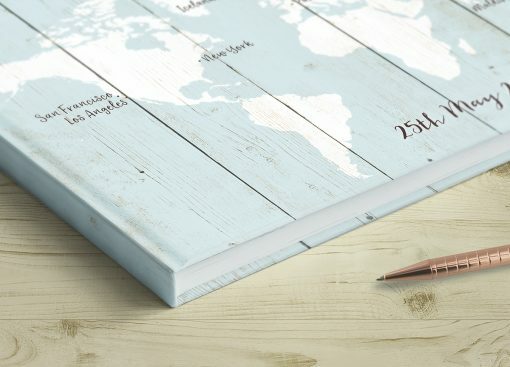 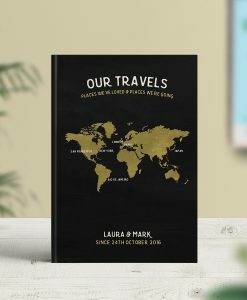 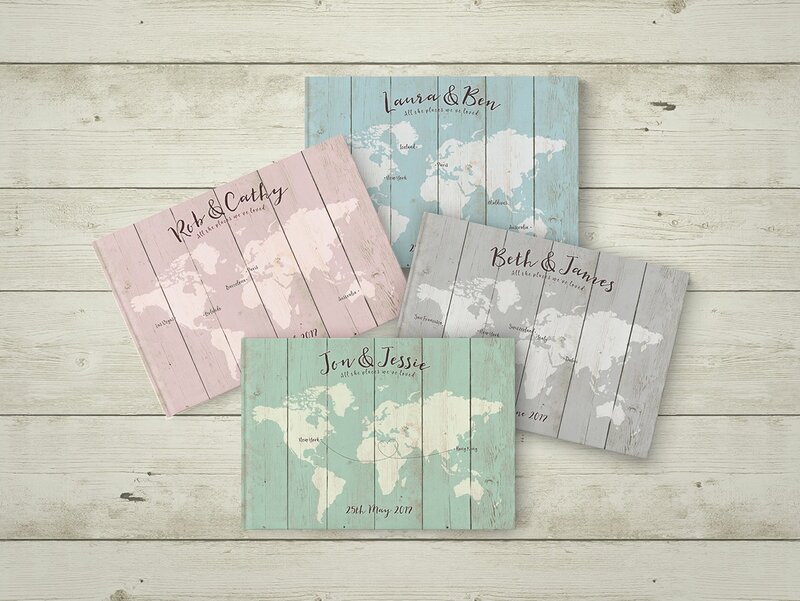 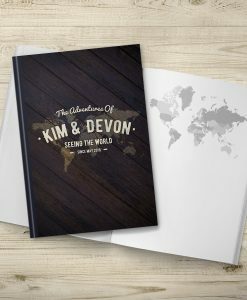 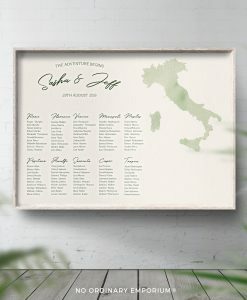 A beautifully illustrated Rustic Travel Wedding Guestbook that includes your personalised text and locations of your choice on the cover. 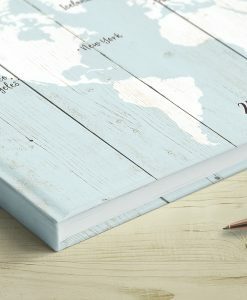 ~ Your names for the top of the cover. 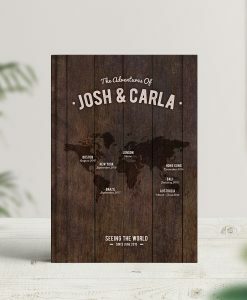 ~ The text underneath your names. 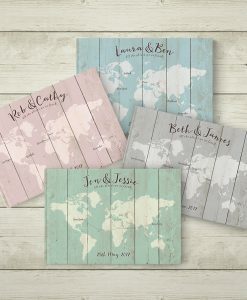 ~ The places you would like adding to the map. ~ The date for the bottom of the cover. 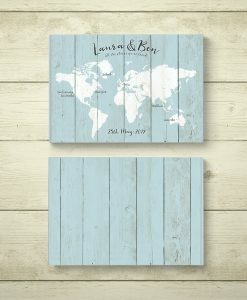 ~ If you would like any other text adding, just let us know when ordering.